Dependable Home Loans & Financing Offered Through 1st Source Funding, Inc. The road to successful ownership starts here. 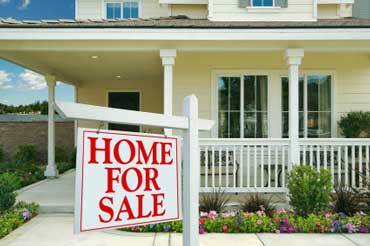 Financing options include zero-down-payment home loans with great interest rates and affordable monthly payments. Our easy qualification criteria are Less Than Perfect Credit Solutions. You're not limited to first-time buyers costs, because sellers will pay the closing costs. There's never a prepayment penalty, so stop renting and enjoy the American Dream of home ownership. We have a program that offers buyers 100% financing, no money down. This program is a USDA Rural Development Loan that helps individuals and families who buy a home in a rural area. There are many rural areas in the state of Utah. Whether you are buying your first home or looking to move up, the USDA Home Loan Purchase Program is one of the best programs available today for our rural communities. This program has helped many home buyers just like you reach their dream of homeownership. You can get a list of rural areas in Utah by contacting our Loan Specialist Ronee James at (801) 304-0962. Contact us to find the perfect loan for your individual needs with our mortgage services. If you are ready to experience the benefits of property ownership, let 1st Source Funding help you get the financing you need to make it happen.